North Carolina’s Voice of Transportation, NC Go! remains the state’s only broad-based organization leading the fight for increased investment in transportation infrastructure. Advocating for safety, reduced traffic congestion, job creation and economic opportunity, NC Go! 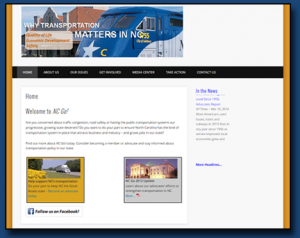 channels the energy of nearly 100 businesses, chambers, trade associations and transit agencies and almost 500 advocates in pushing for the transportation funding North Carolina deserves. Charles Hodges has led communications and advocacy for NC Go! for over seven years, and now serves as NC Go’s executive director providing communications, public affairs, web, social media and member relation services. Band Together was formed in the wake of 9/11, by a handful of entrepreneurial friends seeking a way to give back in a time of national tragedy. With a shared love of music and volunteerism, they organized and staged a benefit concert in just a few weeks and raised money for first responders in New York City and Washington, D.C. 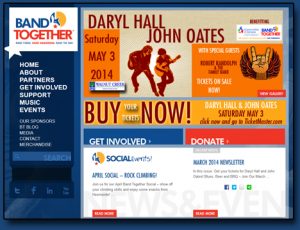 In the 12 years since, Band Together turned its focus to the Triangle Area in North Carolina, raising nearly $3 million for local nonprofits. Since 2012, Charles has led communications and marketing for Band Together – first as a volunteer and now as a sponsor, providing more than $30,000 of in-kind support ranging from communications strategy, social media, web and advertising services, and managing an amazing team of volunteers. 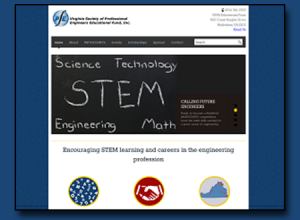 The Virginia Society of Professional Engineers (VSPE) Educational Fund was established by the Virginia Society of Professional Engineers as a nonprofit charitable foundation to support the goals and ideals of the professional engineers in the Commonwealth of Virginia. The fund was created to strengthen the engineering profession in Virginia by improving and strengthening the capabilities of Professional Engineers, promoting engineering and STEM learning in schools and universities, and to provide scholarships to outstanding engineering students. VSPE Educational Fund came to Insight Advocacy & Communication in need of a new website to promote their efforts, scholarships, and their hallmark events for middle school students – MATHCOUNTS competitions held throughout the state. The competitions, including a final state competition, seek to instill interest and foster a mastery of math, and bring together students from regions throughout Virginia. In addition to promotion of their events, VSPE Educational Fund needed dynamic event calendaring and PayPal functionality to accept donations and sponsorship of events. The Professional Engineers of North Carolina (PENC) – comprised of over 1700 licensed engineers, engineers in training, and engineering student members – is committed to promoting and protecting licensure and the ethical practice of engineering. PENC needed a web portal to increase awareness and help better assist businesses, local governments and individuals seeking engineering firms. 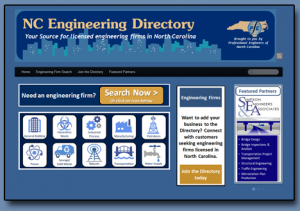 Insight Advocacy & Communications created the NC Engineering Directory – a simple search platform that offers multi-level searching for dozens of complex engineering specialties. Firms listing on the site have the chance to highlight their services and get in front of thousands of business and municipal customers in need of specific engineering disciplines.